We're plagued with self-doubt as old certainties become new questions at the Full Moon in Capricorn on July 19, 2016. 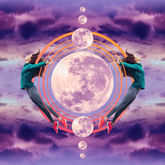 Although this ambitious Full Moon reinforces our drive to succeed, tensions between our personal and professional lives make it difficult to set priorities. The Sun in security-conscious Cancer motivates us to protect ourselves by reinforcing family ties, but the Capricorn Moon reminds us that we're most secure when we master our external world. Unfortunately, an illogical Mercury-Neptune misalignment muddles our thinking during this Full Moon. Our frustration increases if we can't get our timing right. We wait for a better moment to speak, only to realize we missed our chance. Or, we share our truth, only to wish we never said anything at all. Although we are driven to communicate honestly, it's nearly impossible to know what the Full Moon will reveal because of its square to unpredictable Uranus. Get the career advice you need during this Full Moon in Professional Capricorn! 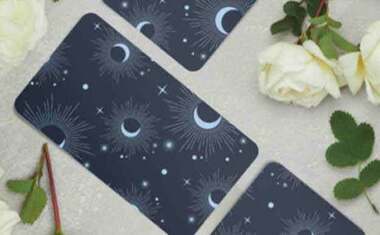 Start your Career Tarot reading now. Although you know what you want and have a simple plan to get it, your energy is drawn toward strengthening family relationships, delaying your professional success. The aspiring Capricorn Full Moon in your 10th House of Career could trigger a work-related crisis that pushes you to recognize the need for self-discipline. Although you might be confused by conflicting demands on your time, your persistence will pay off in the long run. Ironically, attending to your personal needs makes everything in the outer world more manageable. You are proud of your realistic goals and are driven to achieve them. The calculating Capricorn Full Moon spotlights your 9th House of Big Ideas, revealing sensible ways to reach your destination. Nevertheless, your overly practical nature can fill you with doubts about the feasibility of your grand plans. The contrast between the real and the ideal is palpable. Cultivate your dreams by doing the hard work necessary to make them come true. You're ready to risk your comfort by confronting a deep emotional issue. Clarifying what you want from others enables you to advance your personal and professional interests as the Capricorn Full Moon illuminates your 8th House of Shared Resources. Although your imagination is a powerful tool that helps you achieve success, it can also color your communication with misleading emotions. Concentrate your energy where it counts most in order to enhance your self-worth and increase your net worth at the same time. You may be painfully aware of the feelings you normally suppress to maintain the harmony of personal and business relationships. The goal-oriented Capricorn Full Moon falls in your 7th House of Partnerships, reflecting your desire for emotional stability. Unfortunately, you might feel as if you have reached an impasse. Something needs to give, for you can't sustain old illusions any longer. You have seen the truth; respond to the situation by taking decisive action before the opportunity slips through your fingers. It's time to come back down to earth and take concrete steps to upgrade your life. You don't have to conquer the world; just add some constructive order to it as the responsible Capricorn Full Moon lands in your 6th House of Daily Routine. Practicing self-discipline on a small scale allows the larger pieces to fall into place. Methodically focusing on one thing at a time is the most efficient way to complete your tasks. Remember, it's the tiniest details that add up to the biggest picture. Uncertainty is hanging in the air while the crafty Capricorn Moon overwhelms your 5th House of Love and Play. Emotions are revealed that test the boundaries separating a romance from a friendship. Unfortunately, your rational faculties might not be up to your exacting standards, creating a short lapse of sound judgment. Don't take any unnecessary risks unless you have carefully weighed the consequences. Better safe than sorry when it comes to matters of the heart. You may be pulled between the pleasure of being with others and the need for quiet time by yourself. The ambitious Capricorn Full Moon lights up your 4th House of Roots, stirring an urge to take on new challenges. Vivid memories of parental advice can propel you along with their high expectations or hold you back with their fears. However, self-doubt is not a signal to curtail your aspirations; instead, your insecurities show you where you need to apply more effort to get ahead. A trivial thought can grow to grandiose proportions, so be watchful for a loss of perspective as you turn molehills into mountains. 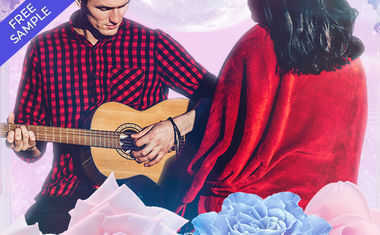 Although your passions are stretched to extremes by the rational Capricorn Moon opposite the emotional Cancer Sun, an all-or-nothing approach to relationships might not serve your best interests. It's much more advantageous to try to find a middle ground. The Full Moon brightens your 3rd House of Communication, making enlightened compromise a sign of inner strength and not outer weakness. Navigating murky emotional waters isn't your favorite activity, yet the vulnerability it can trigger improves strategic alliances. A power struggle over fiscal control could create unexpected stress in a relationship; money matters may erupt when the responsible Capricorn Full Moon emphasizes your 2nd House of Resources. Wishing things were better is not a financial plan. Commit to stabilizing your cash flow and patiently cultivate your talents to set yourself on a firmer foundation. You are driven to establish a healthier balance between your outer professional life and your inner emotional world. The Capricorn Full Moon occurs in your 1st House of Personality, urging you to get in better shape and consider updating your appearance. Although your relationship life may be complex, you can still set your heart on a destination and, with a little help from the cosmos, figure out the best way to get there. Even if a lucky break doesn't turn out to be all you want, pursuing it with gusto could teach you a valuable lesson for the next opportunity. You are driven to stabilize your relationship with your local tribe or community. The sobering Capricorn Full Moon casts its light in your 11th House of Groups and Friends, making it clear how much is expected of you as a member of the team. Open your eyes to see where you truly stand with your peers. Notice people who take more than they give and then start to change the equation in order to make it more balanced. However, don't forget to offer plenty of words of appreciation for those who support you behind the scenes.